You've gotten into the stride of a healthy nutrition and workout regimen, and you're seeing the results on the scale. But many women reach their target weight only to be disappointed that they've lost little-to-no belly fat. Although it seems logical that our belly fat will shrink as we lose weight, you can't really tell your body where to lose fat, and it's extremely common to lose weight disproportionately. But don't worry — we've got you covered with a healthy plan that'll help you get strong and lean all around. 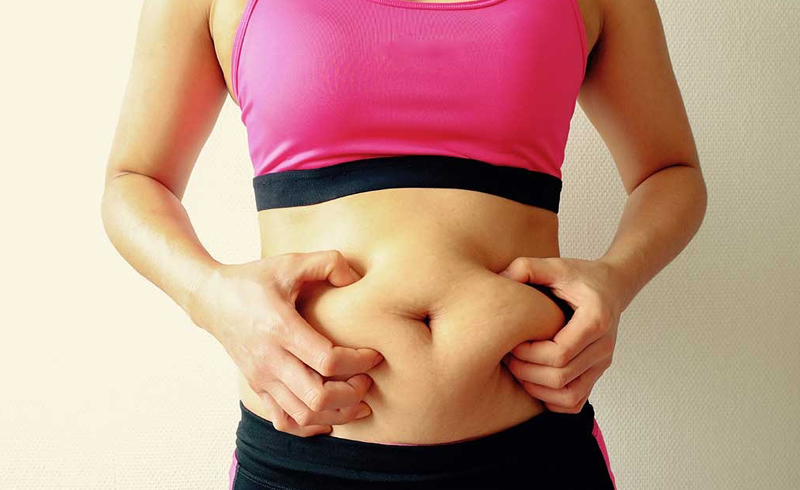 But first things first: why is belly fat so darn stubborn? Everyone's body type is different, so it depends on the person, but there are a few common reasons. "Belly fat is often a sign of 'stress' or insulin resistance. When you are stressed, your cortisol levels rise, which may lead to storing fat in your middle," Amy Shapiro, MS, RD, CDN, and founder of Real Nutrition, told POPSUGAR. "Genetics do play a role here as well, so if your parent tends to carry weight in their middle, you might end up doing the same." In addition to genetics, Cassie Lambert, NASM certified trainer and strength coach, told POPSUGAR that your weight-loss method may also play a role. "For example, a low-carbohydrate diet will kick-start weight loss, but this is because of the water loss from the glycogen in the muscles and not fat," she explained. Lambert also cited large amounts of cardio as an example of how to quickly lose weight but not necessarily belly fat. Evan Harden, personal trainer and National Bar League founder, told POPSUGAR that losing weight too rapidly is a common mistake. "When that happens, it is difficult to preserve muscle, let alone grow new muscle," Harden said. "This leads to losing weight but not body fat and ultimately a poor body composition." Losing weight gradually is essential to preserving muscle, and Harden noted that new research shows we shouldn't lose more than one to three percent of our body weight per week. Although you can't spot reduce fat, there are nutrition and fitness methods that are effective for losing weight in the most proportional way possible. Shapiro recommended a nutrition plan that consists of high-fiber foods, lean proteins, and healthy fats at every meal. "Visualize [your] plate and cut it in half. Make sure half the plate is full of plants, fruits, and veggies at every meal," she advised. "Then cut the other half into quarters, and make sure one-quarter is protein and one-quarter is whole grains." Eat until you are 80 percent full instead of stopping when you are full or stuffed. If you need to go back for seconds, go back for veggies first. Avoid processed foods as much as you can. They can cause you to gain weight and consume foods that aren't good for you. Eat high-fiber foods so you will stay full longer on fewer calories, such as veggies, whole grains, oatmeal, spinach, whole-wheat bread, berries, and apples. Drink plenty of water, and avoid all sugary beverages. Our bodies don't register those calories, so we end up eating on top of them. Limit cheese to one time per day. And while it's great to be committed to eating well, keep everything in perspective. Don't berate yourself if you veer off course for a meal or two. "[If] you fall off your plan, get right back on the next time you eat," Shapiro said. "Consistency is what moves the needle, not one mistake." Now that we've got nutrition covered, let's talk workouts. Even if you only do exercises that target your stomach muscles, you can't spot-reduce fat. A combination of HIIT cardio exercises and strength training is the most effective fitness regimen to lose body fat all around. Lambert recommended strength training three to five times per week. "[It] improves body composition and metabolic function, [which] speeds up the metabolism," she explained. Lambert said to integrate cardio workouts into your routine in order to increase your caloric deficit. 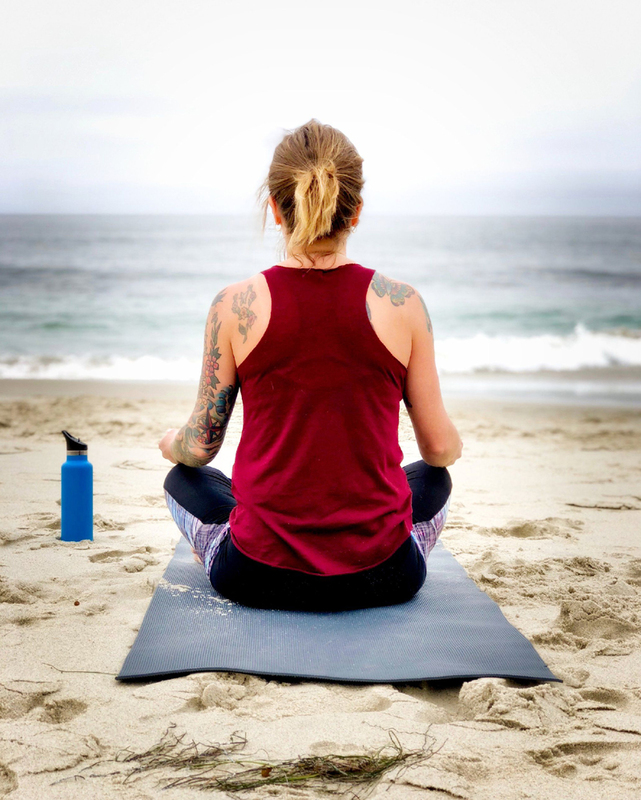 And while we often think of workouts as happening solely in the gym or on the running trail, there are myriad opportunities each day to get moving — and it makes a difference in the long term. "Move more throughout your day to increase the amount of energy burned outside of daily exercise," Lambert said. "In time, you will be able to reduce fat in a sustainable manner." When we set out to lose weight and body fat, it's easy to become laser-focused on losing weight as quickly as possible. But as Harden emphasized, this isn't a healthy or effective way to attain a healthier body. If we view good nutrition and consistent exercise as a lifestyle, we're more likely to lose weight — and belly fat — in a healthy manner and keep it off for good.